On April 4, 1919, Babe Ruth hit the longest homer run ever recorded. In a spring training game against the New York Giants, the Babe hit pitcher George Smith’s 3-1 fastball 587 feet from Plant Field’s home plate. 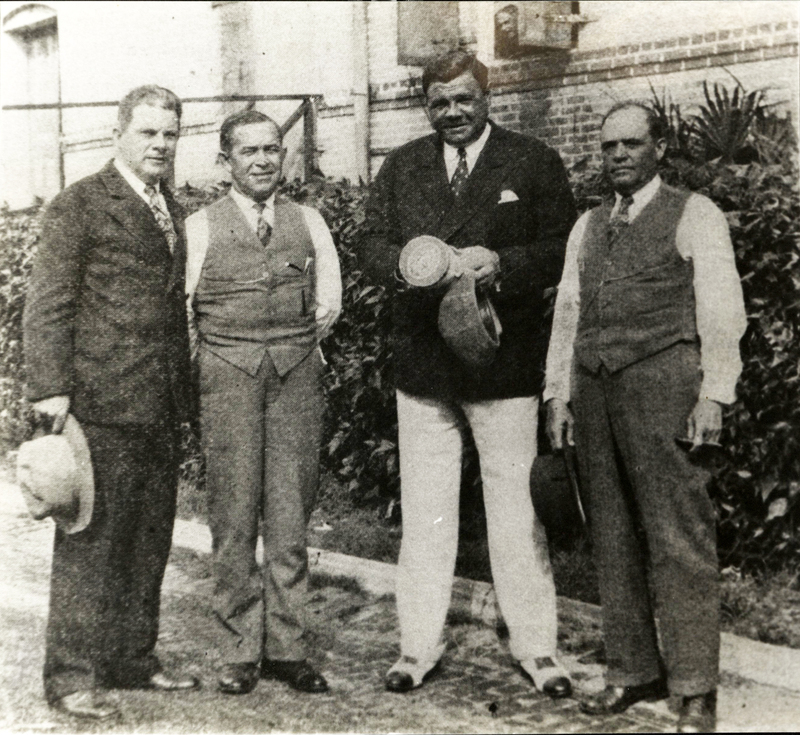 When the ball landed, the legend of Babe Ruth, his link to Tampa, and the popularity of spring training in the city had all been cemented. The idea of traveling south for spring training is as old as the professional game. The Cincinnati Redstockings began the tradition in 1870 when they traveled to New Orleans. The first team to travel to Florida was the Washington Senators. In 1888, manager Ted Sullivan brought his team to Jacksonville for the spring. 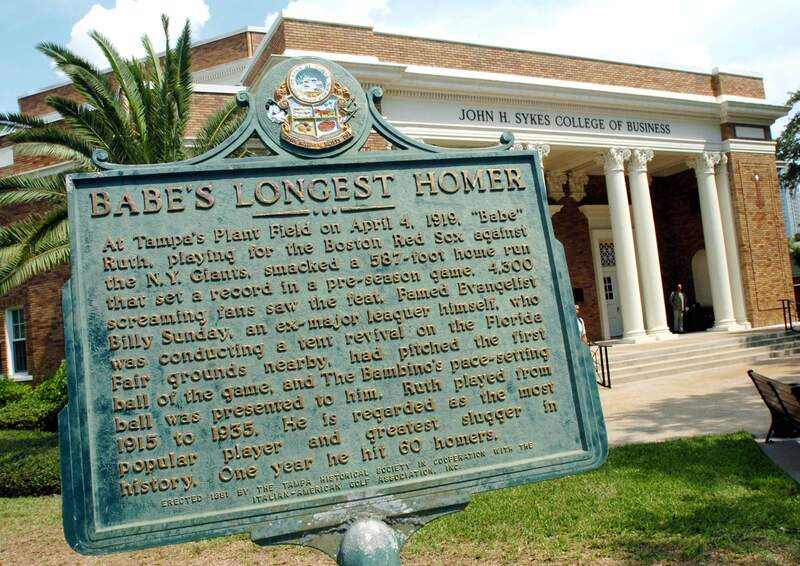 The first spring training game in Tampa took place on February 26, 1913. 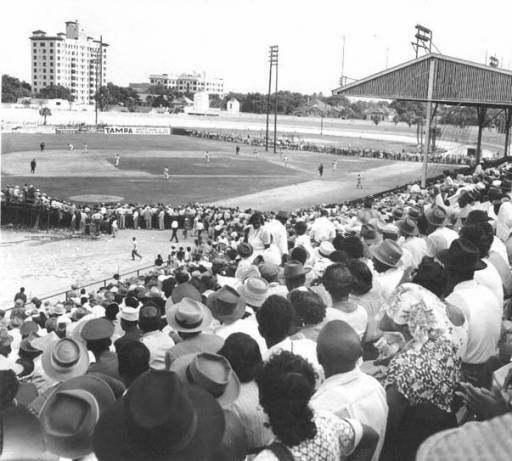 Played at Plant Field, the Chicago Cubs faced the Cuban athletics. The game caused the entire city to shut down. In front of 5,500 fans, the Cubs defeated the Cubans by a score of 4 to 2. The Cubs moved from New Orleans to Tampa the following Spring. In 1919, the Boston Red Sox conducted their spring training in Tampa. Their only year in town, the Red Sox played their home games at Plant Field. The year prior, the Red Sox had won the World Series; however, their star pitcher, Babe Ruth, held out for more money over the winter. He demanded a salary of $15,000 for the entire year. He also only wanted to play in the outfield, instead of pitching. Citing low attendance, Boston only offered $8,000. The team left for Tampa without Ruth and rumors proliferated around Boston that the Babe would try his hand at boxing. A few weeks before the seasons began, Boston’s management agreed to $27,000 spread out over three years. As Ruth arrived in Tampa, there were still questions about where he would play. 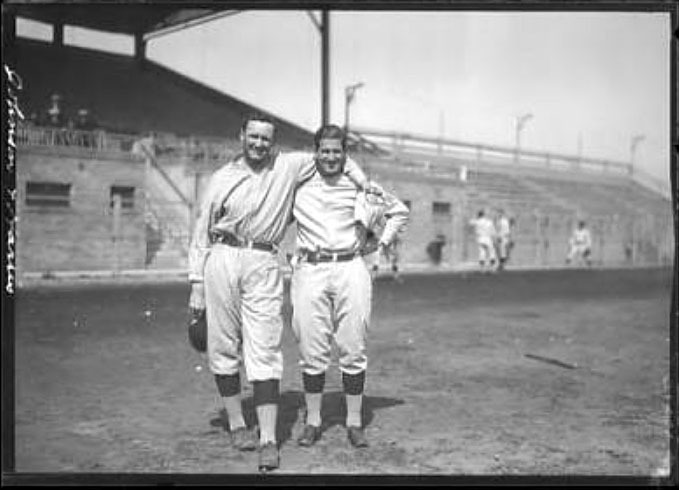 Ruth played his first game of the season on April 4, 1919. 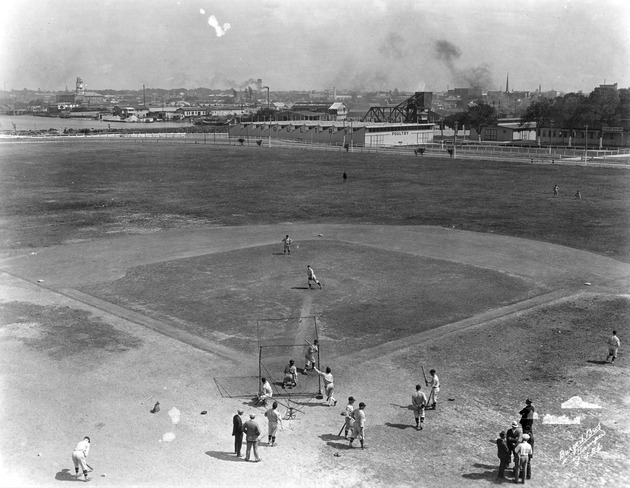 Located near downtown, on the campus of the University of Tampa, Plant Field was converted into a baseball field from a racing tract. It was part of the old Florida State Fair Grounds and hosted horse races, stock car races, political gatherings, and local baseball games. The shape of the field made it difficult to hit home runs. On this day, however, the field was no match for the Babe. In his first at-bat of the seasons, Ruth hit New York Giants pitcher George Smith’s 3-1 fastball 587 feet from home plate. Giant’s outfield, Ross Youngs, was said to be mesmerized by the shot. Following the game, legend has it that a group of sports writers had Young stand in the spot where the ball fell, and they measured the distance with surveyor’s tape. It was one of the longest home runs ever recorded at 587 feet. 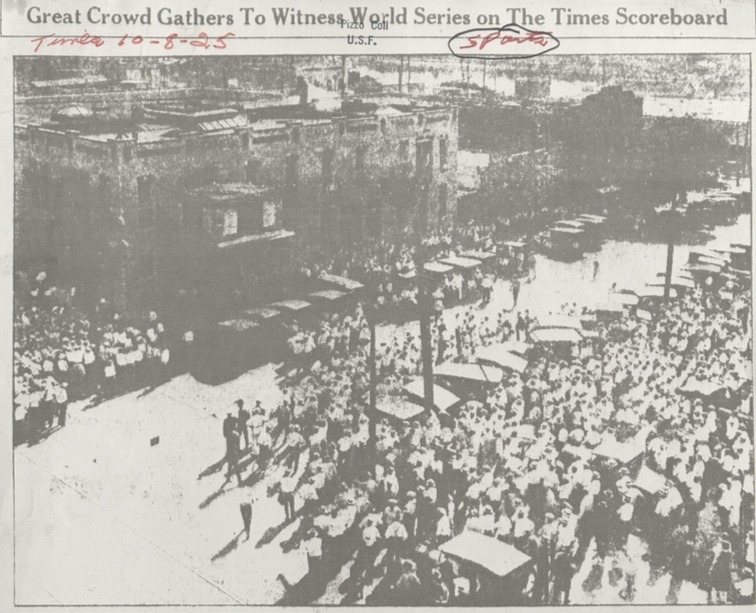 In recapping the game, the Boston Herald noted that “Tampa just stood up on its hind legs and roared today… Babe’s [home run] was accompanied by the thunderous applause of some 3500 rooters.” The legend of the home run traveled with the Babe as the Red Sox barnstormed throughout the South on their way back to Boston. The home run in Tampa, and its mammoth legacy, convinced Boston to play the Babe in the outfield, instead of pitching. The home run at Plant Field is often credited with forcing Boston to play Ruth in the outfield more; therefore creating the legend of Babe Ruth. The year following the Plant Field home run, Ruth was sold to the Yankees. For years, the Yankees held their spring training in New Orleans. Because of the Babe’s indulgence into vices, Yankees owner Jake Ruppert decided to move his team’s spring home to St. Petersburg. He thought that the brothels and speakeasies were too much of a distraction for his star slugger. Returning to the Tampa area, however, provided Ruth the opportunity to indulge in another of his vices: cigars. During the spring months, Ruth purchased enough cigars from the Cuesta-Rey factory to last him all summer. Plant Field hosted numerous local and national legends. Baseball greats Walter Johnson, Ty Cobb, Ted Williams, Joe DiMaggio, and Mickey Mantle all played at the stadium during the spring months. Yet, when the old stadium was demolished in 2002, it was the memory of Babe Ruth’s 587-foot home run that was commemorated by a plaque. 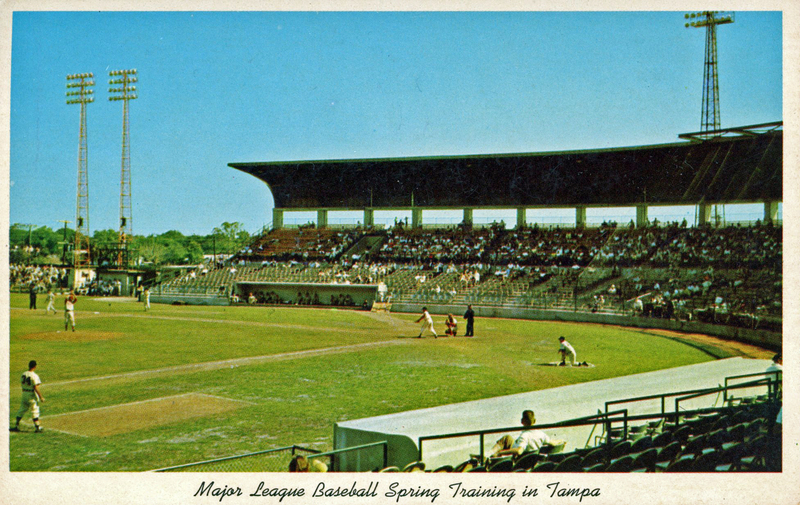 Paul Dunder, “Spring Training,” Tampa Historical, accessed April 20, 2019, http://tampahistorical.org/items/show/21.